With the release of iOS 10, many of Apple built in apps are deletable and we now can replace iPhone native apps. Yippee! We asked Apple for this feature for ages. It’s taken 10 generations of Apple’s operating systems to get it. But it’s finally here and hopefully here to stay. I’m totally thrilled to delete my unwanted native apps and replace iPhone native apps with some of my favorite third party apps. 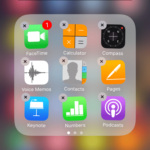 Gone are the days (I hope) where I tucked away Apple’s built-in apps I don’t like into a “NOT USED” folder. If concerned about deleting a native app for fear of not getting it back, all these native apps are available in the app store. So do not fear trying something new out. 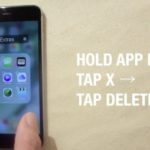 For those hoping deleting native apps saves a lot of storage space, think again! 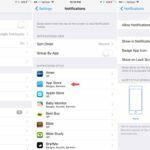 Apple estimates that deleting ALL those apps listed above saves about 150 MB of space. Surprisingly not a lot! If you really want to free up space, rather than deleting native apps check out our comprehensive guide on cleaning up your storage. Okay, as a reminder when you remove built-in apps and replace iPhone native apps, you also remove any related user data and configuration files. This affects things like related system functions or information on your Apple Watch. Also removing an app removes its widget. 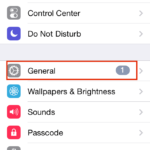 For example, by removing the Stocks or Weather app, you won’t see stocks and weather information in your widgets Search screen or as Complications/Glances on your Apple Watch. When removing the Calculator app, the calculator won’t appear in Control Center. You get the drift. First, let’s go through the easy stuff. I’m not a big fan of Apple’s weather app. It’s gotten better over time, providing basic information on the weather conditions in my neighborhood and any favorite locations. But I’d like an app that’s more robust, featuring detailed forecasts and hyperlocal forecasts. I also want an app that has a widget, so I get a quick snapshot on my widget Search screen. So I’m turning to Fresh Air. 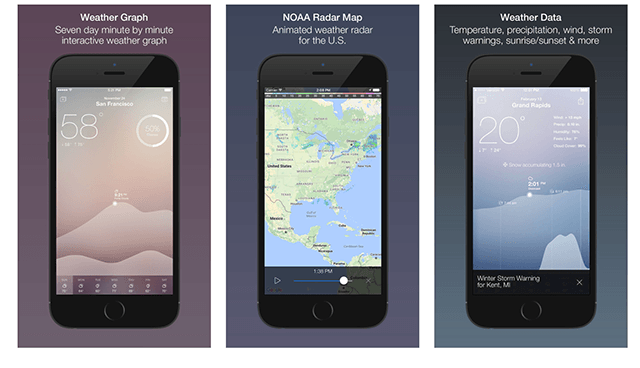 It’s free, minimal and beautiful, and showcases the weather for the next week (7 days.) Fresh Air also provides minute-by-minute graphs of today’s weather, so you check what the weather is forecasted for any time in the day. This feature is particularly useful if you have outdoor events and want to dress for the weather. Fresh Air also features humidity and precipitation curves so planning around rain, sleet, snow, or sweltering Summer Temps is easy! An option to purchase Fresh Air with no ads and a weather radar is available too. Notes is another native Apple app that they’ve recently updated. But I’m still not happy. Evernote is so much better. There’s just no competition here. 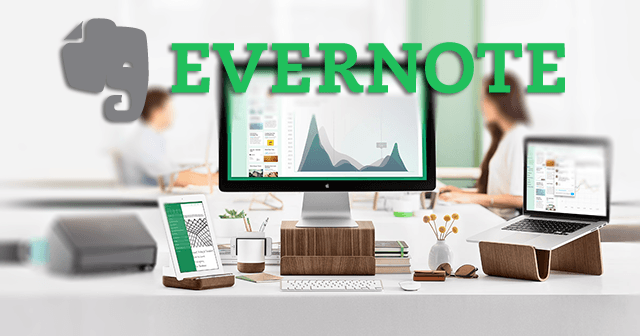 Take notes, collect and share pictures, create to-do lists, scan business cards, and even save things you find online, Evernote has it all. Evernote is the best app for storing your projects, sharing with friends and colleagues, and syncing across all devices including non-apple devices. The Evernote widget lets you quickly create notes and send using the share menu. Evernote is simple, fast, and super useful. There are free versions as well as various paid versions for individuals, businesses, and education. Evernote is a one-stop shop notes app and widget! Calendar is another app you should consider replacing. 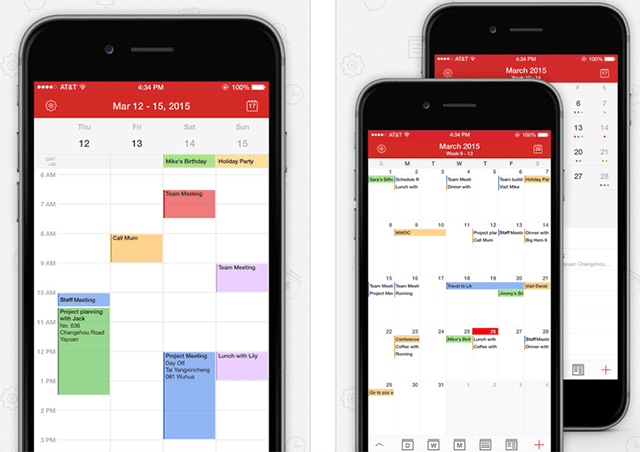 There are a lot of great calendar and scheduling apps out there. Our consensus is Fantastical, now in version 2. Unfortunately, Fantastical does not offer a free version. But for those of you with a busy schedule, Fantastical is worth it. What makes Fantastical special is it’s natural language feature that recognizes appointments in regular text. Just type in that you have “Lunch with Sonja on Tuesday at 3pm at Valleri” and Fantastical 2 will schedule it! Or type in “remind me to Buy Sourdough Bread on Tuesday” and Fantastical 2 will create a reminder with a due date. With the diction feature enabled, you speak the details of your appointments/events and Fantastical recognizes it. Pretty neat! Fantastical also supports reminders, todo lists, and tasks–just start off your sentence with one of the three and Fantastical enters it. Setting up repeating events is easy too. The design is simple, easy to navigate, and its DayTicker provides an efficient view of your schedule. Fantastical works with other calendar accounts including your built-in calendar app, iCloud, Google Calendar, Yahoo, Exchange, and others. For those looking for a free calendar option, there’s no better than Tiny Calendar. Tiny Calendar features simple and clean layouts and integrates/syncs with Google and iOS calendars seamlessly. It offers smart features like natural language, drag and drop, and other predictive methods to help create your events and appointments quickly and easily. Tiny Calendar supports 8 standard views – day, week, month, 4-days, year, mini-month, week agenda and agenda. People really love seeing their month’s calendar at a glance! Switching views is very simple, so your events or a specific time are easy to find. And this calendar syncs with all your iDevices and computer. Tiny Calendar also allows you to work when you’re offline, so you create, delete, and modify events even when no internet connection is available. And with Tiny Calendar, you set reminders easily via push notification or email. There is a free version and a paid version. The biggest difference between the two version is the paid version supports recurring appointments. Both versions support apple watch. Apple’s News is another native app I wish to replace. The best news app for you is really dependent on your where you live, your country of origin (if different), and your political point of view. Although I live in the US, I prefer Guardian for my news updates. I love the beautifully simple user interface and that I tailor its home screen to the news that matters most to me. Following your favorite writers is easy. And saving content for offline reading is simple. Searching for specific content is a snap with keywords, topic, section, series, or writer. Guardian also offers video, audio, and interactive content and features amazing images in its full-screen image galleries. These beautiful and thought evoking images are what first drew my attention to Guardian and I am so glad for it! Guardian offers a free version and a paid premium subscription version. Paid subscriptions offer daily crosswords, curated content, extracts from Guardian Books, and no advertising. 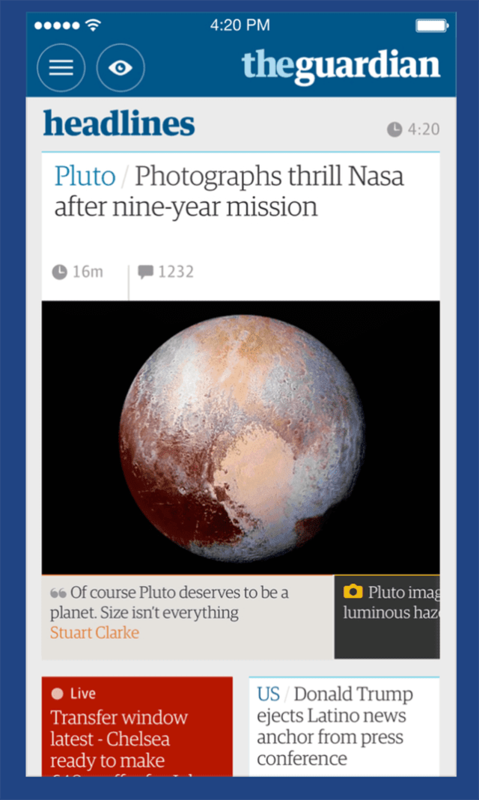 Guardian also features a widget that showcases three headline stories. You elect between Top Stories, Most Popular, or a single category such as Technology. If you want a truly customized experience for your news, there’s no better app than News360. It’s a personalized news reader, allowing you to skim through news that is relevant to you. You select your interests and News360 creates a personalized news feed for you by aggregating news from over 100,000 sources including major news outlets and individual blogs. And it’s available for your iPhone, iPad, Mac, and Apple Watch. There’s also a widget to add to your widget Search Screen. The user interface is simple, allowing you to quickly scan headlines to preview stories and go deeper into the content if desired. Just swipe from story to story. And searching is straightforward via selectable interest tags. With News360, connect your social media accounts to make the app even smarter about what you like. Share the stories that interest you the most to your Facebook, Twitter, Google+, Pocket, Instapaper or Evernote accounts with just one tap. 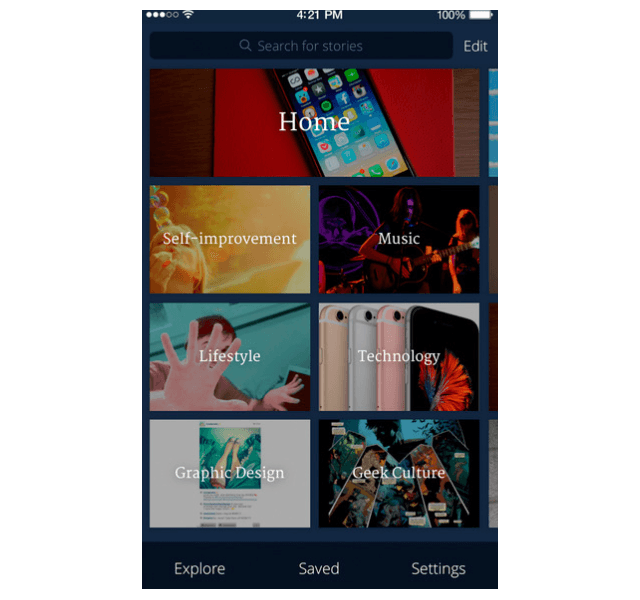 Like Guardian, this app allows you to save stories onto your iDevice for offline reading. I confess that I do not keep on top of the stock market. I am more one of those folks that invest my 401K into mutual funds rather than individual stocks, so I don’t have to keep an eye on the market everyday. My partner however, really enjoys keeping daily (and sometimes hourly) track of the stock market. And I know there are a lot of you folks out there! So let’s ditch Apple’s native Stocks app and go for something a bit more intense. So give Stocks Widget a try! With Stocks Widget, streaming real time stock quotes and portfolio changes (gains/losses) are available on your widgets Search Screen without opening the app or even unlocking your device! Stocks Widget supports your watch list and any gains and losses for holdings in your portfolio. Any changes are filterable based on the day or total value. Get a quick view of where your holdings stand without the hassle of opening your broker’s app, logging in, waiting for it to load. Stocks Widget is straightforward, easy to use, and is updated frequently so any bugs are quickly addressed. So keep informed on your stocks and any stocks you watch, without even leaving your lockscreen. Finally, iCloud Drive is definitely one native app I am definitely replacing. I have not had a very positive experience with iCloud Drive. I find it slow and local syncing is often unreliable. So we really need a good alternative for iCloud Drive. Luckily, we have a lot of good and reliable choices to replace iCloud Drive! Our readers recommend Dropbox, loving its ease, speed, and integration with Office online. Dropbox works seamlessly between multiple iDevices and computers making file exchange easy. The consensus is in: Dropbox is fast, stable and very reliable. Google Drive is another great alternative to iCloud Drive. Google Drive integrates all your files so they are in reach from any smartphone, tablet, or computer. All your files in Google Drive – like your videos, photos, and documents – are backed up safely so you can’t lose them. Easily invite others to view, edit, or leave comments on any of your files or folders. Microsoft’s OneDrive is another solid option. For heavy users of Microsoft Office apps, this drive is for you! OneDrive quickly opens and saves files from Word, Excel, PowerPoint, and OneNote. Easily share those Office Documents with your colleagues and others. OneDrive helps you stay productive and work together, no matter where you find yourself. 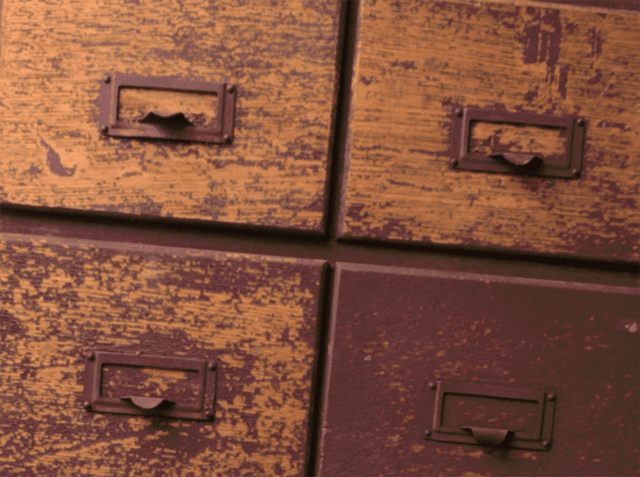 For those with a 365 subscription, storage is plentiful! Finally, Amazon offers its own Amazon Drive. Amazon Drive provides easy access to the documents, music, photos and videos and keep them secure even if your iPhone or iPad is lost or damaged. Upload your content to Amazon Drive from any computer and preview, share and enjoy it on all your devices. For Amazon Prime Members, one of your benefits is access to unlimited space for your photos at no additional cost to your annual membership. There’s even a separate app for your photos, Amazon Photos. All of these Cloud Drive providers offer both free and paid accounts. The difference is in the amount of storage. So if you have a lot of information to back-up, consider purchasing a paid plan via one of the cloud providers listed above. You can also check out the pricing plans for some of the cloud providers on our site as well. 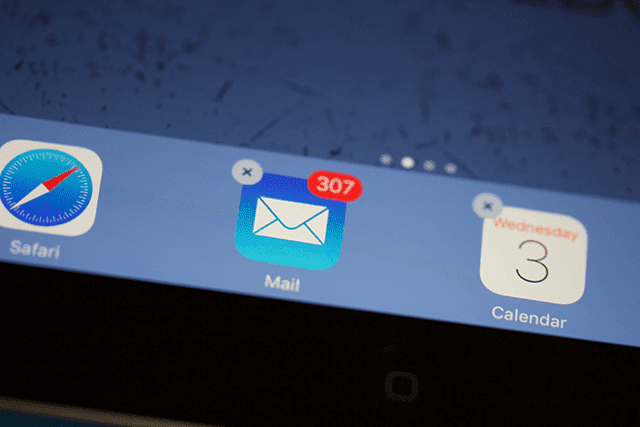 If you are looking for an app to replace your iOS Mail, you can check out Spark or Cloudmagic. Both of these apps are extremely versatile and can work as a replacement. I love that iOS 10 gives us the ability to delete most of Apple’s built-in apps. I’m all about making our iPhone or other iDevice work for us and customization is key to getting that. Technology exists to solve problems, not create them. So let’s harness the power of decision making and utilize Apple’s latest iDevice democratization. Take a moment and think about which native apps you enjoy and which you don’t. Create a list of pros and cons. 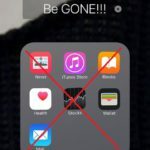 If you don’t use or enjoy one of the deletable built-in Apple apps, delete it. 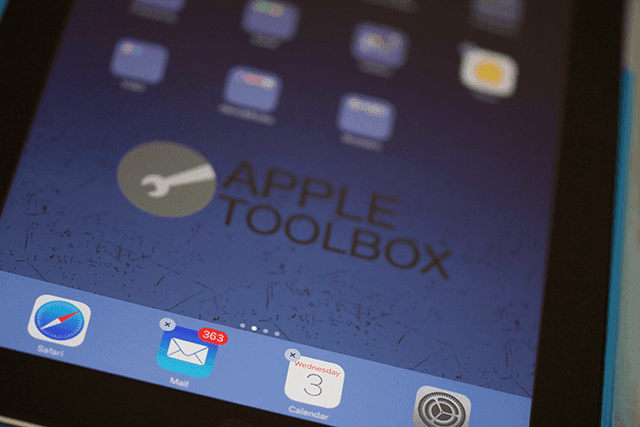 Take a look at our list of suggestions or visit the app store for your replacements. Experiment and test out a few apps to see which you enjoy best, which apps work best for you. Also keep in mind that some of the native Apple apps that come with iOS have deep integration features with your other iPhone functionality. My final suggestion is to tackle replacing your apps by category rather than all at once. A once and done attitude may find you in a less efficient and productive space–the opposite of what you hoped to achieve. 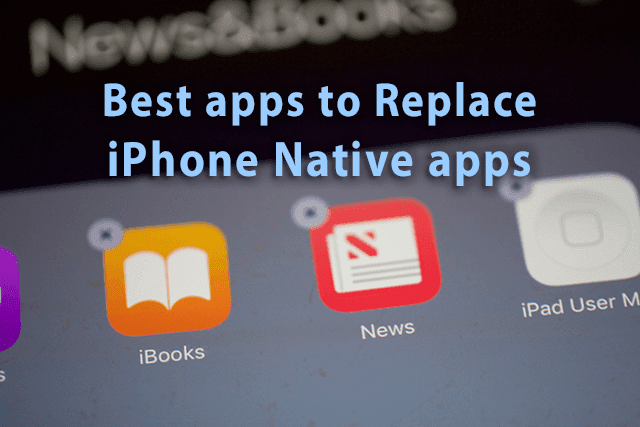 So start with native app you use the most but want to replace. Take a journey of discovery in locating the best app for you! For other useful features, Please check out our comprehensive iOS 10 Features and How-To guide. Try doing the following: Go to Settings, Select General, Scroll Down to Reset, Select Reset and choose Reset All Settings. Enter your passcode if asked. This will not delete your personal info such as email, messages. You will not lose documents, files and any installed apps in the process. But, it will reset your network preferences, wifi settings, and other privacy settings. I hope this works for you! If it doesn’t try this: Try a reset: Simultaneously hold down the Home and On buttons until the iPad shuts down. Ignore the off slider if it appears. Once shut down is complete, if it doesn’t restart on it own, turn the iPad back on using the On button. 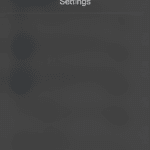 In some cases it also helps to double click the Home button and close all apps from the tray before doing the reset. One thing I assume here is that you mean the onscreen keyboard. If the keyboard attachment, then it probably is the connectors between the ipad and the keyboard. Clean these (they look like three circles) with a micro cleaning cloth or even a little alcohol. I am not sure I’m at the right place to get help, but here’s my question. Why is my search engine on ipohone6 not working? Darlene, Thanks for the comment. Assuming you are using Safari, what issues are you facing?